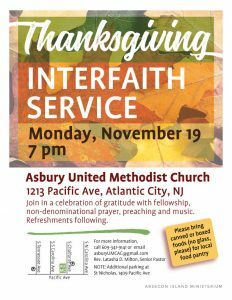 Join in a celebration of gratitude with fellowship, non-denominational prayer, preaching and music. Refreshments following. Please bring canned or boxed foods for donation to local food pantry.